Conflict and crisis in Syria has created adversity for the Syrian population at large as it endeavors to survive amidst constant war, violence, and devastated infrastructure. Syrian families are being displaced and fleeing to neighboring countries as refugees or facing the brutal realities of a violent existence at home. Crisis and widespread conflict has forged a unique opportunity for Syrian women to step us as local leaders within their communities, where men are too involved in the conflict to manage these traditionally male roles. Although men and women in Syria have achieved roughly the same level of formal education, women have conventionally not been widely accepted into the labor market or political system. While women have achieved political representation, they struggle to advance because of limited male acceptance and an ever-increasingly more conservative social environment. The International Foundation for Electoral Systems (IFES), with support from the US Agency for International Development (USAID), is seeking to break down traditional gender barriers in order to advocate for more inclusive political institutions in countries undergoing democratic transition or in conflict. IFES is working through the Global Women’s Leadership Program in order to develop and inform a Male Allies for Leadership and Equality (MALE) training curriculum. The MALE approach will focus on developing a supportive network of men to advocate for female leadership. In order to fully develop the MALE curriculum, IFES engaged in a series of Focus Group Discussions (FGDs) and key informant interviews with Syrians in Gaziantep, Turkey. be capitalized upon in efforts moving forward. - Syrian women want training programs in order to understand political transition and to develop political skills. more widely accepted and more women would be pushed to take on leadership roles. education gap. Steps must be taken to address this potential gap. service or sources of hope, it is unlikely these women will be able to emerge as community leaders. to remedy the trauma that many women have faced. between this representation and the empowerment that is a precondition for this representation. further understand and address the security threats of women’s leadership. to be effective, a training curriculum must address these two confounding environments. * Young girls need empowered women to serve as role models, so that they can learn through example. * Mothers and fathers are critical in addressing these issues with their children. The Syrian revolution, beginning in the spring of 2011, demonstrated the capacity of women to advocate politically. The revolution was largely a grassroots movement and it relied on female actors. Women actively participated in resistance movements in the revolution as well as organizing their own distinct efforts. Despite the dangers of protest, many Syrian women continue to engage in organizing nonviolent protest. Nonviolent efforts, such as hanging posters, harnessing support through social media, and acts of civil disobedience characterize the democratic movement. In addition to their nonviolent resistance to the Assad regime, women are instrumental in the distribution of humanitarian aid. Women have established temporary schools for Syrian children who would otherwise be without schooling and therapy programs for those who need psychological healing. Syrian women have focused on advocating electoral freedom on the local municipal level, raising awareness about local elections and pushing for more female representation. Women are highly active in peace discussions for Syria’s future, both on the local and international level. Within Syria, female advocacy groups have outlined suggestions for a new Syrian constitution, which would support free and fair electoral processes and promote large-scale equality. On the international level, Syrian women participated in the Geneva II peace talks. Despite their pervasive efforts, Syrian women engaging in activism do not receive very much political attention from male actors dominating the political transition movement. Syrian society, faced with violence and displacement, is increasingly unstable, and while this instability has provided the peculiar opportunity for women to come forth as local leaders, it has also made the possibility of regression to a more repressive society seem imminent. Gaziantep and Kilis, Turkish cities bordering Syria, has become home to thousands of Syrians who have been displaced by the crisis in Syria. Since 2012, the population of Gaziantep has increased by more than 20%. This increase demonstrates the major influx of Syrians to the country and underscores the presence of Syrians in the city. Gaziantep and Kilis were chosen by IFES as the project site for the Global Women’s Leadership initiative because IFES is active in political transition efforts with Syrians in those cities as part of the USAID funded “Promoting Inclusive and Democratic Engagement in Syria” project. 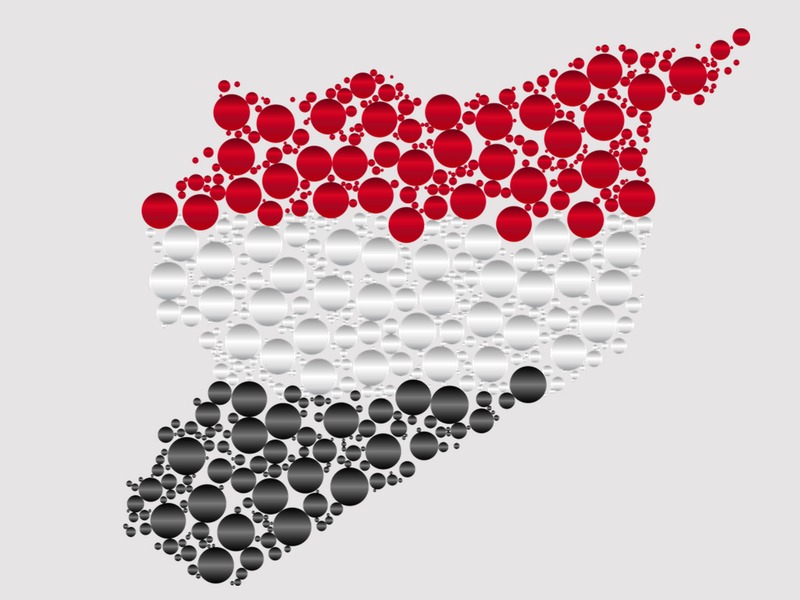 Entities formed by Syrians outside of Syria have largely informed the movement within Syria and have been instrumental to the transition process of the country. Working with Syrians in Gaziantep and Kilis is an effective way to reach Syrians who are effectively not facing immediate concerns of mere survival. The International Foundation for Electoral Systems (IFES) works in order to promote democratic institutions and good governance in both developing and existing democracies. IFES operates by providing expertise and technical assistance to local institutions. The principal of IFES is to promote inclusive institutions such as free and fair elections. IFES assists to “fortify women in political and electoral processes as candidates and elected leaders, technical experts in elections, engaged civil society leaders, and informed voters”. The IFES team in the MALE focus group discussions in Turkey was composed of Jessica Huber, IFES Senior Gender Specialist; Tazreen Hussain, IFES Gender Program Coordinatot; Elizabeth Reiter Dettmer, IFES Syria Senior Governance and Inclusion Specialist; and Medya Ayob, IFES Syria Research and Logistics Coordinator. The Global Women’s Leadership Program (GWLP), supported by USAID, works to strengthen the role of women in developing democratic societies. GWLP strives to break down and reduce socio-cultural barriers that thwart women’s empowerment and women’s leadership. GWLP effectively upends gender norms and aims to mobilize the collective effort amongst women to participate in and pressure local institutions. The Male Allies for Leadership Equality (MALE) program endeavors to generate dialogue amongst men and women in transitioning democracies and facilitate discussion to effectively transform social norms. The MALE module has achieved notable success in Nigeria, Haiti, and Libya by engaging men as allies at both the institutional and home levels. Critical to the success of MALE is also the women’s leadership component that works to train and empower women. Through the MALE module, IFES hopes to set the foundation for men and women to work together in decision-making processes in the Syrian transition. IFES is working to develop a Syria-specific training curriculum that provides a pragmatic method by which to implement inclusive and sustainable decision-making processes. Focus group discussions and key informant interviews with 54 Syrians in Turkey served to inform the further development of a MALE curriculum specific to the needs of Syrian men and women. From November 11-18, 2015, IFES worked directly in Gaziantep and Kilis, both with Syrians living inside Syria and with Syrians living in refugee camps in Turkey. Participants were diverse, representing a variety of socioeconomic statuses and occupational backgrounds. The main objective of the focus group study was to develop a contextual understanding to foster and inform the development of both male and female coalitions to advance the promotion of inclusive political processes in Syria. In order to achieve the main objective, focus groups evaluated and discussed the role of men at the institutional level and assessed their willingness to work together with women in democratic peace-building efforts. Another set of focus groups emphasized the role of men within households and the way in which household dynamics affect the relative empowerment of female family members. The final objective that framed focus groups was a discussion of the challenges that women face as leaders. Throughout focus group discussions, many women demonstrated a desire to engage in political activism in spite of the challenges that they face. Women accounted for the need to develop an approach to counter the increasingly conservative nature of Syrian culture. Additionally, women underscored the importance of not allowing peace-building and transitional politics take priority over women’s empowerment. Women emphasize that they are not willing to accept the claim that women’s empowerment is secondary to peace-building, but rather purported that the two go hand in hand. Women conveyed their concerns that although women constitute for 12% of the Syrian Interim Government and the Etilaf, they are merely considered “decorations”. Women reported that because they felt as though they were merely decorations, they actively chose to not engage officially in the governance of local institutions. Women also reported that most leadership positions for women are typically related to female-centric governmental capacities, such as education and family affairs. female participant accounted, “We are not used to seeing women as leaders in Syria. We don’t even think of it. We don’t have that ambition. We don’t even dream of it”. Women discussed the idea of gender quotas in order to formally establish women at the local and national levels of Syrian politics. Men and women both suggested temporary quotas in order to further institutionalize women in government on a more enforceable level. Men involved in the discussions suggested that incentives rather than requirements could ultimately serve as a better mechanism for involving women in leadership. For example, one participant suggested “evaluating local council offices and awarding extra points to an office with a staff of at least 10 percent women or support to civil society organizations (CSOs) that prioritized services to families who sent their girls to school”. Throughout the focus group discussions, all women embraced the concept of male allies serving as critical actors to the women’s empowerment movement. However, among men, there was trepidation surrounding the idea of women’s empowerment. Men expressed that in many instances, women lack the necessary skills and confidence to serve as political leaders in Syria’s transition. Men also expressed their concerns in regard to the security obstacles Syrian women in leadership positions could face. One participant asserted that he would not support a female family member choosing to run for office due to his security concerns. Women showed a sort of passive objection to male claims about security by suggesting this was merely a tactic by which to further marginalize female involvement. Some male leaders that were discussion participants admitted that while “many women had applied to work on local political activities, [they] were excluded due to lack of qualifications”. The concern amongst men is questionable, for according to the 2014 Gender Gap Index, there is no discrepancy between men and women in terms of educational attainment. While men agreed on some level with the idea of women in leadership, their acquiescence was overshadowed by their concerns of qualification and security, especially in an increasingly conservative Syrian society. IFES’s program in Syria revealed significant obstacles facing women’s leadership. Although the immediate prospect for women in leadership does not look particularly promising, there are steps that can be taken in order to advance women’s empowerment and inclusivity. Gender Quotas. Focus group participants suggested that temporary gender quotas be implemented in order to ensure that women receive a stake in the political process. Enforcing gender quotas could be an effective policy moving forward to engage more women in leadership and to broaden male acceptance of women in leadership. Empowerment Support Groups. Syrian women lack access to resources and support that are critical to their mobilization. Support groups for women that provide fundamental political training along with a network of other women striving to have a stake in the political process are crucial to women’s empowerment. Husband Trainings. It is mandatory that male perspectives change for the forward progress of women’s empowerment. Local trainings should be organized in order to facilitate this necessary change in male perspectives. Training programs would need to incentivize male attendance in some way such as providing a meal. Male training should focus on men accepting the premises of women’s empowerment as well as providing men with ways in which they can effectually empower their wives at the household level. Additionally, male training should emphasize the societal benefits of women in leadership. Local Media Campaigns. Media campaigns could be instituted on the local level in order to increase the apparent visibility of women in leadership. Mobilizing women through a social media campaign could largely increase visibility of women’s capacity to lead. Youth Empowerment. Gender perceptions can be affected amongst Syrian youth in order to advance the future prospect of women’s leadership. Youth programs and organizations that allow youth to take a stake in the political transition process should be instituted in order to empower young boys and girls.